They’re here to help build sustainable healthy habits with you! Kurbo health coaches draw from their unique expertise and backgrounds to help you every step of the way. Kurbo coaches are passionate about health and come from a diverse range of backgrounds including counseling, fitness and nutrition-related fields. Each coach completes extensive training through Kurbo-specific tutorials as well as direct instruction from our Master Coaches. Your Kurbo coach are more than just your average weight loss coach — they focus on helping you and your family build healthy habits so that you achieve long-lasting results. Click on the profiles below to see who might be a good fit for you. We ensure the safety of all participants by requiring background checks from all health coaching professionals. Please contact us with any and all concerns. After being a journalist for almost ten years, Adriana changed gears and decided to focus on health education to prevent chronic diseases within her family and community. For Adriana, healthy meals are fun meals because they allow her to constantly mix and discover new ingredients. As an avid world traveler the first thing Adriana does when she visits a new country is to visit local markets to taste new fruit, vegetables, and spices, and recreate those flavors at home. 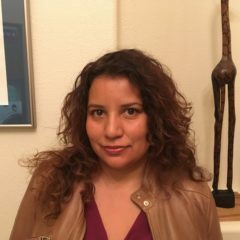 Adriana holds a BS in Spanish and Journalism, an MS in Community Health Education and is currently pursuing her Health Coach Certification at the Center for Integrative Medicine at the University of Arizona. 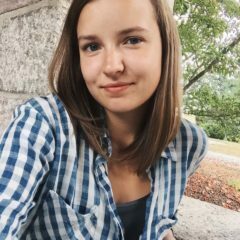 Coach Ilona developed a passion for health coaching with children when she spent one summer at a daycare witnessing the unhealthy lunches provided for children. 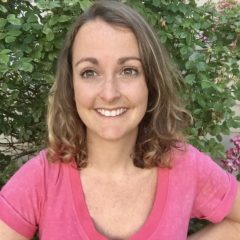 Emily is using her background in Exercise Science and Health & Wellness to educate both children and adults about how great it is for the body and mind to eat healthfuly. One of her favorite things about living healthy is being creative in the kitchen, which makes food exciting and satisfying. She also loves to stay active outdoors by hiking and walking her puppy. Favorite green light food: strawberries & spinach. Favorite yellow light food: eggs. Favorite red light food: buffalo wings. Favorite type of exercise: hiking, biking, volleyball & cross-training. Allianna is a graduate of the University of Pittsburgh where she graduated with a Bachelors of Science in Emergency Medicine. 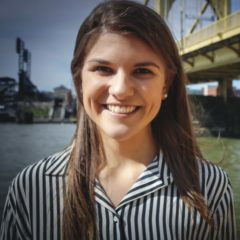 As an avid traveler and passionate supporter of public health and education, Allianna utilized her time at Pitt to volunteer abroad in different healthcare settings. She now works as a paramedic and serves as a health coach. Allianna’s passion in life is helping others develop the self-awareness needed to become the healthiest and happiest version of themselves. In Allianna’s spare time she enjoys traveling the world, volunteering, cooking, and meditating. Favorite green light: Blackberries and kale. Favorite red light: Cashew ice cream and bacon. Favorite Exercise: Strength training and hiking. A self-confessed foodie and a mother of three, Coach Janet understands the challenges too well when it comes to dieting. With a warm and caring approach, she aims to empower families to make healthy decisions rather than get stuck in the cycle of constant dieting. 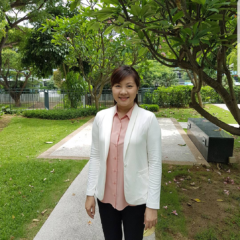 Coach Janet is a certified English teacher and a trained counselor​. 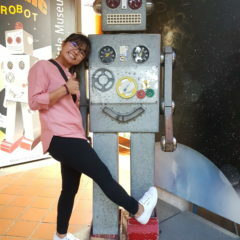 She enjoys dancing, cooking, watching Korean dramas and volunteering at the Singapore Children’s Society. She also speaks Mandarin and conversational Bahasa Indonesia. Alyson played various sports growing up, which translated into a love of health and fitness. Alyson moved from Seattle to southern California to attend college, where she was a cheerleader and also received her Bachelor’s degree in Exercise Science and Sports Medicine. Alyson enjoys hiking, camping, traveling, baking, sleeping in, and finding ways to make unhealthy recipes healthier. Alyson also teaches group fitness classes at different gyms. 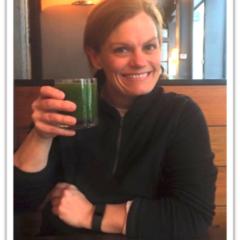 Coach Amy combined her Master’s degree in education and technology, with her passion for wellness to become a certified health coach and personal trainer. She loves everything outdoors–hiking, camping, kayaking, snowshoeing–while her sports resume has included baseball, rugby, and professional football. 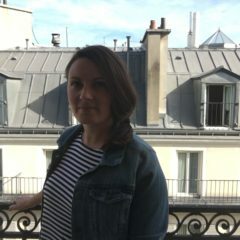 Having lived and worked abroad on two different continents, Amy enjoys different cultures and backgrounds, and still travels often. 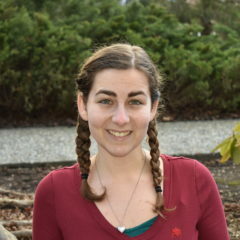 Amy is currently working toward a degree in Human Biology at Stanford University. She is excited to apply her passion in child development and behavior change as a way to motivate people to create healthier lives. She loves promoting positive lifestyle choices in exercise and nutrition through empowering others. In her free time, she jumps at the opportunity to explore sports she has never tried before. Favorite Type of exercise: Muay Thai, Basketball, Dragonboat. 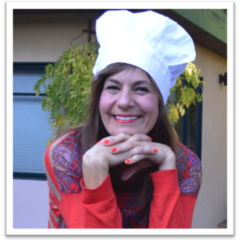 Coach Ann Marie is a mom, professional chef and certified health coach. She is a graduate of the Natural Gourmet Institute for Health and Culinary Arts where, in addition to her culinary curriculum, she studied nutrition and the positive impact whole foods have on our overall well-being. Ann Marie loves to cook healthy meals for her family and is always experimenting with fun ways to incorporate more vegetables into her son’s favorite dishes. When she’s not in the kitchen you will most likely find her outdoors with her family running around playing tag, kickball or paddle boarding. She is excited to help Kurbo families live their healthiest lives because she believes that a healthy family is a happy family. Coach Becca loves being a Kurbo coach and helping others adopt healthy lifestyles. 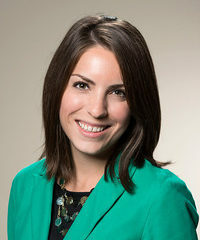 Having just graduated with her Master’s of Public Health, she focused much of her work and studies on children’s nutrition and physical activity in schools. She is happiest when she is being active outdoors, especially trail running. In her free time, she enjoys spending time with her family and trying new recipes in the kitchen. Coach Bita has a background in teaching elementary and middle school aged children in the Bay Area. Bita has a passion for health and fitness. She loves coaching kids, teens, and families to make better choices and feel great! In her free time Bita loves dancing, spending time with her two daughters and four furry pets, cooking and preparing food in a healthy way, and keeping up a healthy foods recipe blog. Bita has a BS from University of Wisconsin, Madison and a multiple-subject teaching credential from Santa Clara University. Coach Arielle is dedicated to laughter, cooking, travel, exercise, dancing, and meditation. 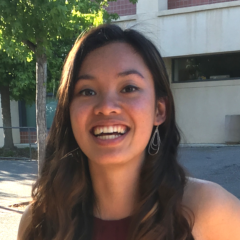 After graduating from UC Santa Barbara, Arielle studied Mindfulness at the Center for Mind Body Medicine. 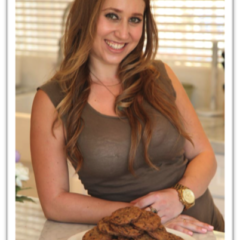 Arielle has since developed a program, Mind Body Baking, that teaches kids & teens how to mindfully prepare and eat healthier versions of red light foods. 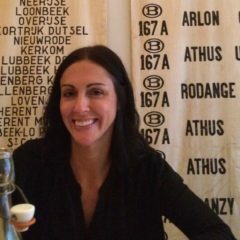 Arielle is an ICF certified life coach and a Master Coach working full-time at Kurbo. She is also working on her Ph.D in Mind Body Medicine at Saybrook University. 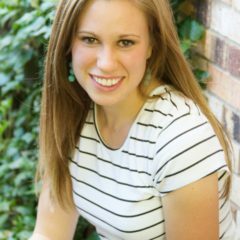 Brittany is a Certified Family Health Coach and Health Blogger. She obtained her coaching certification through the Dr. Sears Wellness Institute so that she could help kids and families achieve their health goals. Brittany believes one of the most important things you can do for a child is to teach them to love eating healthy foods. In her free time she enjoys, reading, creating healthy recipes to share and spending time outdoors with her family. Caitlin is currently in school to become a dietitian. She has a passion for healthy living and wellness that leads her to cook and experiment with all types of food, and cooking up healthier versions of favorite recipes. In her spare time, Caitlin likes to run, do marathons, spend time with her family, and travel. 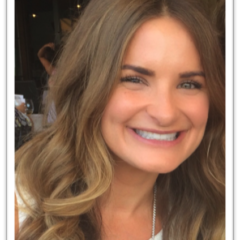 Cierra is passionate about helping others establish lifelong, healthy habits. She is a registered dietitian nutritionist who is fascinated by all the different ways eating can impact our health. She loves trying new foods and creating new recipes. While Cierra enjoys and encourages activities of all kinds, she especially likes activities that involve being outdoors. Favorite yellow light food: Mashed potatoes. Favorite red light food: Buttered popcorn and Bubble tea. Activity: Hiking, yoga, roller skating. Clar is a quick witted, funny girl who loves to bring joy to others. She believes that laughter is the best medicine and heals everything. The idea of setting up a hammock and relaxing by the beach all day is her fantasy. Diving into the deep blue sea to meet the mysterious ocean life underneath is her new hobby. Overall, throw Clar out into the unknown and she will make the best of it. Crystal is following her passion for both sports and nutritious food by studying Food and Human Nutrition in school. 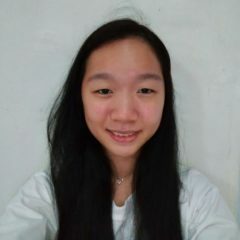 She enjoys being active with floorball and running being her favorite activities. In her free time, you can find her in the kitchen cooking or baking. Crystal is a lively and outgoing girl who aims to improve the health of people around her. Being around Crystal is never dull and full of fun! Emily has a passion for living the happiest, healthiest life, and loves to help others do the same! As a former 2nd grade teacher who recently earned her master’s degree in Public Health, she has extensive experience working with children along with training in health promotion. 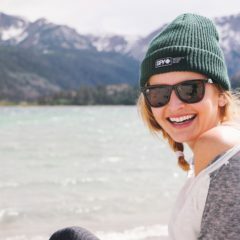 She resides in San Diego, CA, and loves to be outside as much as possible–especially snowboarding in the winter, surfing in the summer, and trail running all year round. When she’s not playing outside, Emily enjoys making green smoothies, baking healthy treats, and reading novels at the beach. 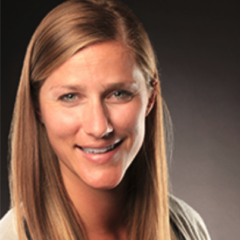 Coach Allison, a former professional soccer player, is passionate about health, fitness and nutrition. She is an advocate for youth sports and has spent several years working as a youth mentor and coach for children and teens. Allison has a BA from Stanford University. Faith grew up in Arizona, and currently resides in Birmingham, Alabama. She graduated from Brigham Young University with a degree in Public Health. 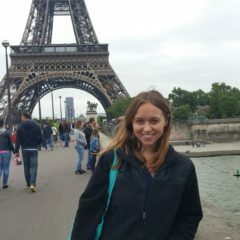 She has been to 11 different countries as a student or volunteer, and is fluent in Spanish. She loves to travel and explore the great outdoors with her husband, and she spends lots of time in the kitchen experimenting with seasonal ingredients. Favorite green light: ripe, juicy peaches. Favorite red light: homemade treats that are still pretty healthy like my coconut cashew bars. Favorite activity: running and hiking. 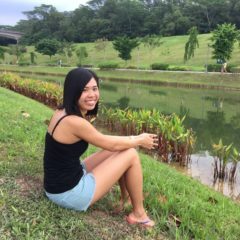 Elizabeth graduated from Singapore Polytechnic and is from the pioneer batch of Diploma in Nutrition, Health and Wellness course. She is well versed in both nutrition and exercise and has experience in providing health guidance during her internship. She has the passion to guide children and teenagers to a healthier lifestyle as she believes good habits start from young. 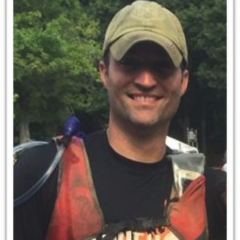 Coach Don is an avid Obstacle Course Race competitor, competing in several races such as Tough Mudder, Spartan Race and BoneFrog Challenges. His passion is helping people reach their goals and overcome any “obstacles” that come their way. He has a Chef’s certificate from The Natural Gourmet Institute in New York City and holds a B.S. in Psychology and Human Development from Colorado State and a Master’s in Traditional Chinese Medicine from Meiji College/AIC in Berkeley, CA. Javius is currently aspiring to develop and deliver “person-centered” programs to support individuals in the community at large. He completed his Psychology Degree and is cultivating practical work experience to complete his Masters Degree. 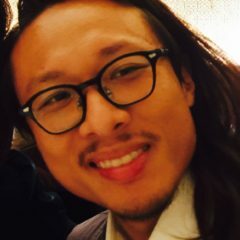 Javius has an engaging personality, genuinely interesting in understanding and supporting others and the skill set to inspire change in others. Coach Hyleas has a passion for children’s fitness and improving children’s overall health. As a student athlete at the University of Georgia, she earned a degree in Child and Family Development while landing 4 NCAA championship titles for the Bulldogs. She is considered one of the most dominant female heptathletes the US, winning 7 USA Championship titles and an Olympic Silver Medal in 2008. 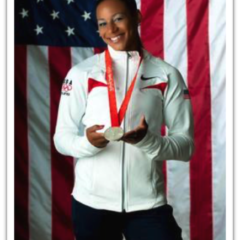 In addition, Coach Hyleas was a member of the 2012 Olympic team. 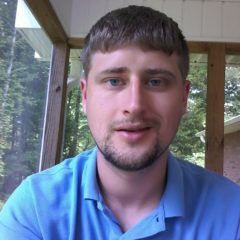 Josh is a an ECU graduate from small-town Trinity, North Carolina. He enjoys outdoor activities such as kayaking, camping, and running. His dream is to extensively travel all around the world. He is passionate about helping others and enjoys encouraging them to move towards a healthier and balanced life. Favorite red light: peanut butter. 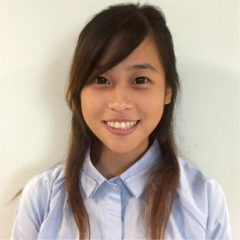 Jiaying is passionate about baking, sports and traveling. She enjoys learning and stepping out of her comfort zone to engage in new experiences which explains why she wears multiple hats now as a private tutor, youth worker, baker, relief educator and Kurbo coach! With her outgoing nature, she hopes to empower individuals with positive energy to motivate them in achieving their goals. Coach Je’von was born and raised in south Florida. He attended Hampton University in Virginia where he received both his Bachelor’s and Masters degree in business administration while competing on their Division I track and field team. 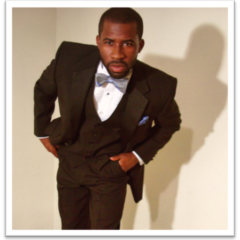 Je’von is passionate about inspiring and motivating youth to reach their full potential. He is currently training to compete in his specialty event, the 400 meters, for the 2016 summer Olympics. Coach Jackie is passionate about educating people on healthy lifestyle choices so they can feel great. She has a B.S. in Dietetics from the University of Delaware, is an ACE Certified Health Coach, and a Weight Management Specialist. She enjoys the beach, being active, eating, traveling, and spending time with family and friends. Favorite yellow light: Sweet potato. Favorite Red light: Almond butter. Why get a Kurbo Coach? Is health coaching right for my family? Our Kurbo health coaches play a crucial role in the participant’s success with the program. Kurbo health coaching helps children lose weight by building healthy habits through the use of a mobile app and personal coach. With the mobile app, children are able to track their food choices using our Traffic Light System (which is based on 30 years of research at Stanford) that classifies food by green, yellow and red lights, making it easy for kids to do themselves. Their personal coach will help explain the Traffic Light System, set personalized goals and partner with kids to think through strategies to help them succeed. If the person being coached is a child, this allows the parent to take a break from being the “food police”. Each video coaching session only last about 15 minutes, making it easy and convenient to fit into busy schedules. To find out if Kurbo health coaching might be right for your family, check out this quick assessment. Is a health coach the same as a Kurbo coach? A Kurbo coach is more than a health coach. While weight loss for kids is very common with Kurbo, it is not always the main objective. And, because kids are still growing, significant weight loss isn’t always needed to reduce their BMI and live healthier lives. That’s why our Kurbo coaches focus on building healthy habits and sustainable behavior change. By teaching and encouraging kids to make healthier choices, they form better habits which lead to longer lasting results. And we’ve seen this approach work: 8 out of 10 of kids who participate in our 12-week coaching program lose weight and 90% reported higher levels of happiness, self-esteem and confidence. Can we change coaches if my child is not getting along with him or her? We do our best to match you with a compatible coach based on information entered about your child during registration. If you or your child finds that their coach is not the right fit, please contact customer support and we will use your feedback to find a new coach.